Want to have buns of steel? Maybe tighten your hamstrings, quads and calves too? Then try running up steps because it is an intense activity both for your heart and legs – you’re moving your bodyweight up the steps against gravity. It is great cross-training activity. It requires less time to do the same intensity of a workout. It is an overall body workout – cardiovascular and muscular endurance. Start slowly and gradually increase your speed and/or the number of steps as you get fitter. Run at even pace – don’t go out too hard. 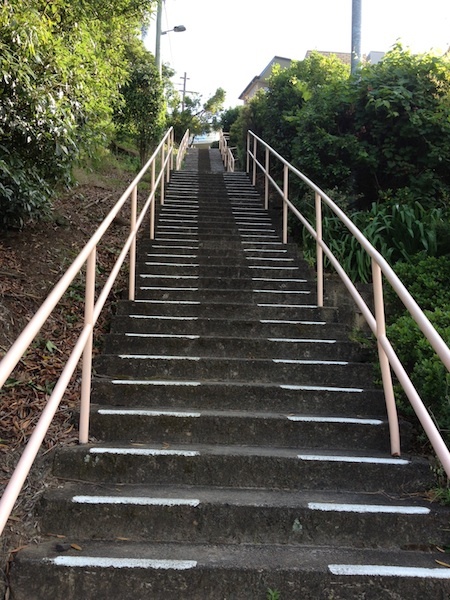 Pump your arms to help you up the steps. Keep your elbows in, shoulders down (not shrugged) and your arms semi-flexed (like a sprinter). Run on your toes and make sure you don’t completely extend your legs – this puts too much strain on your knees.